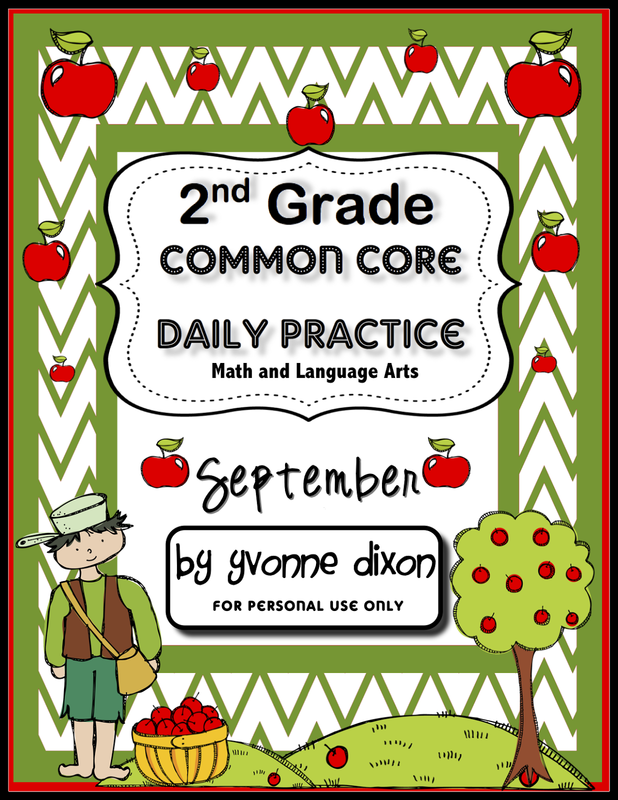 TODAY ONLY for an introductory discounted price (15% off) you can grab the complete packet to have this school year! 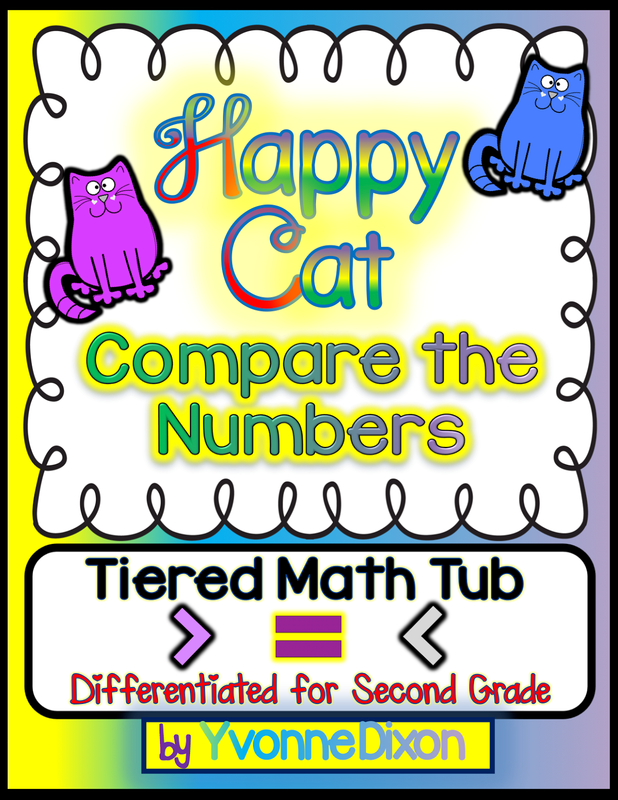 I love to do graphing activities once a week with my students and sometimes struggle to find all the resources on the run. This should make my school year MUCH easier!!! 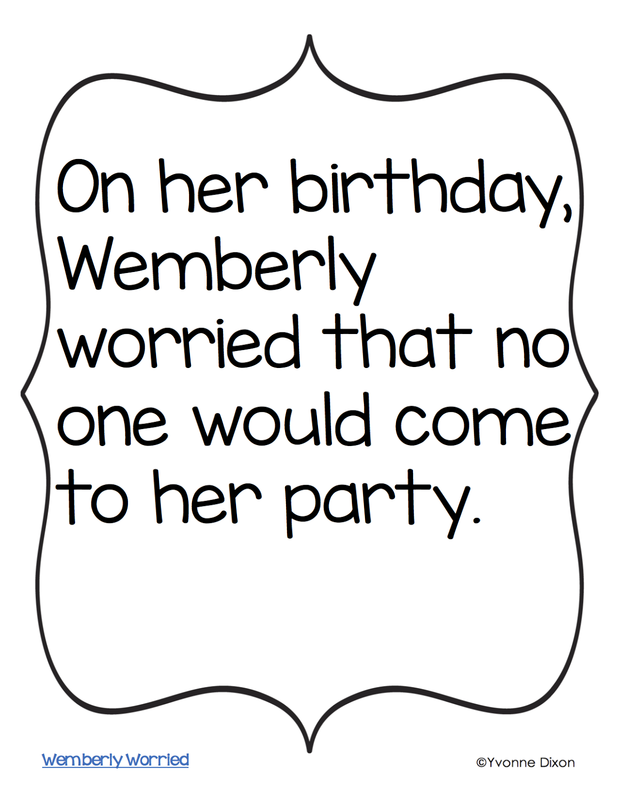 I am going to project the surveys on my Smartboard to collect our class data. 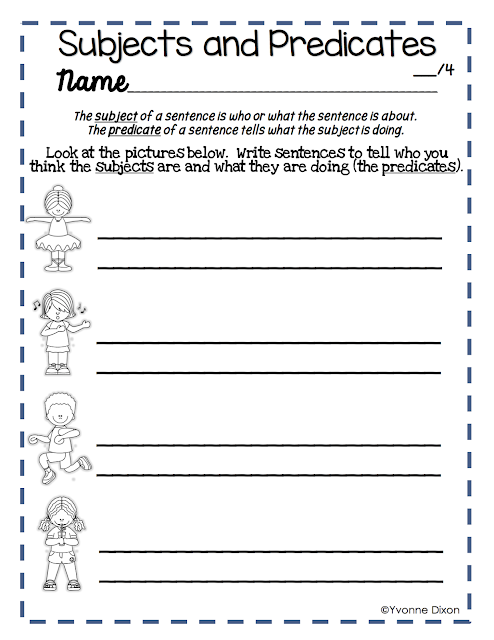 Then we will decide which type of graph we want to build together (bar graph, picture graph, pictograph, or line plot). 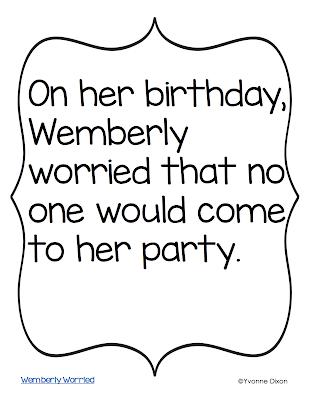 Students will also have templates to create their own graphs. 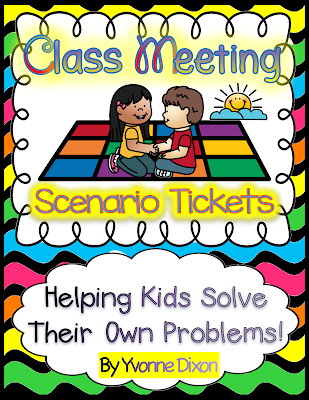 I love that there are ready to print/cut colorful choice tickets for pocket chart graphing as well. I have a title card and graph labels for each. 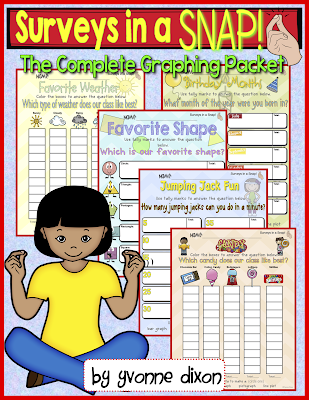 Once all graphing activities are complete and we've reviewed our parts of a graph, students will complete their question sheets. The survey questions are fun and meaningful! This year our school made it a school improvement plan goal to focus on vocabulary instruction to implement research based approaches school-wide. 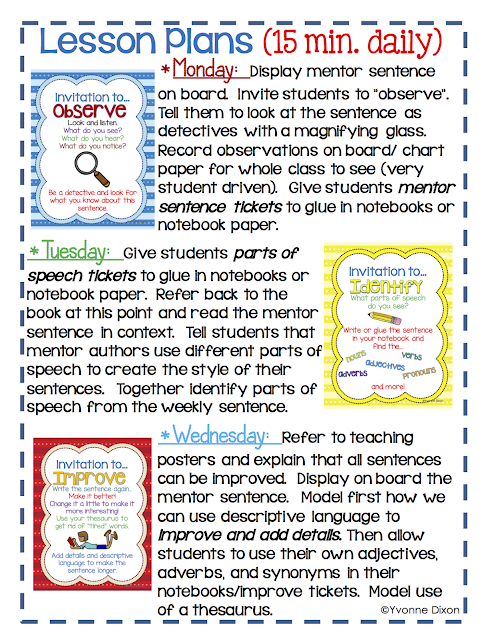 At the beginning of the summer I asked myself…”How do I know which words to focus on in my classroom? 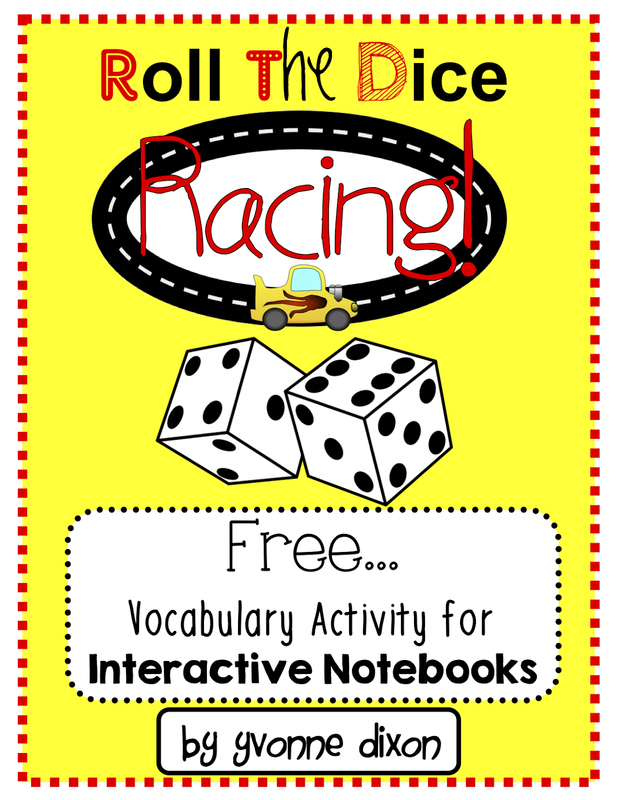 I already teach vocabulary directly through the usage of word walls and student dictionaries (not to mention interactive vocabulary activities in Reading Groups, Math, Science, and Social Studies). What else can I possibly do that we are not already doing? 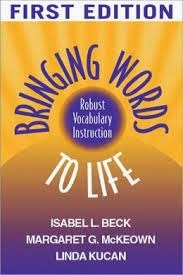 The problem I quickly realized once I started to read and research is I have focused too much on concept words for content instead of conversational words that teach students meaningful and rich language skills. For years I have posted words on the board that focus on Science and Social Studies topics as the basis for vocabulary instruction. 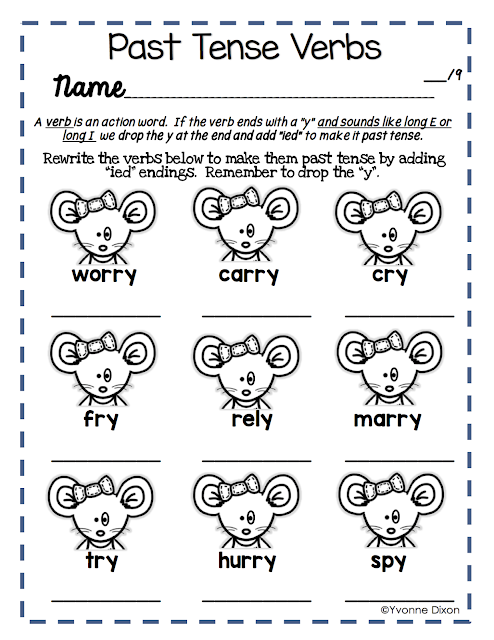 In reading groups I have introduced science terms and lists of words that are embedded in stories in order to enhance story meaning. So… How do I best teach Tier Two Words? 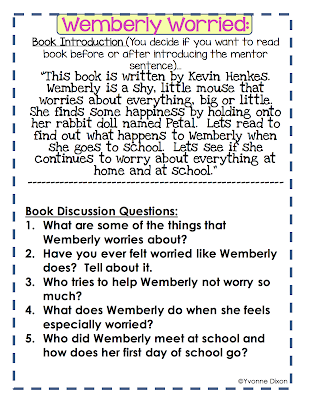 I decided to develop a weekly lesson format and interactive notebook (W.O.W Book) that would work best for me in my classroom. 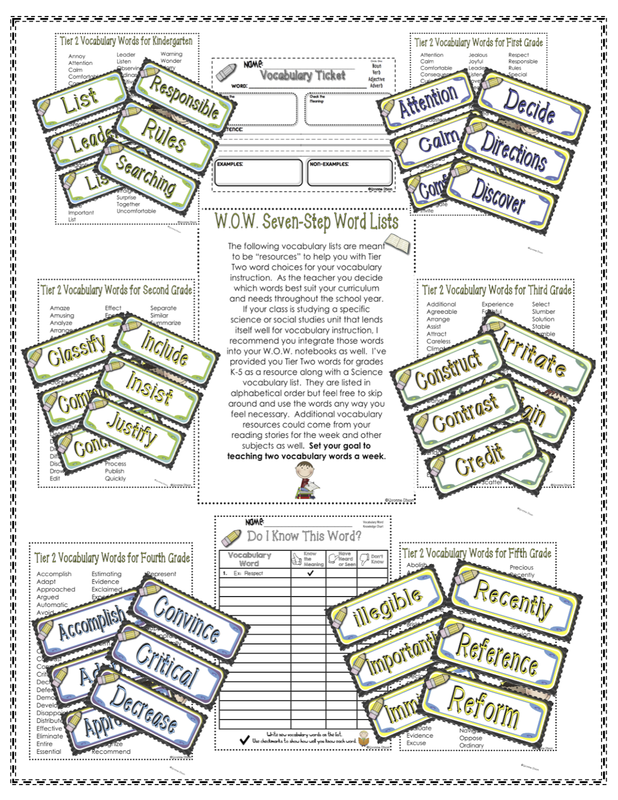 I have always loved the idea of teaching W.O.W. (Words of the Week) in a classroom! 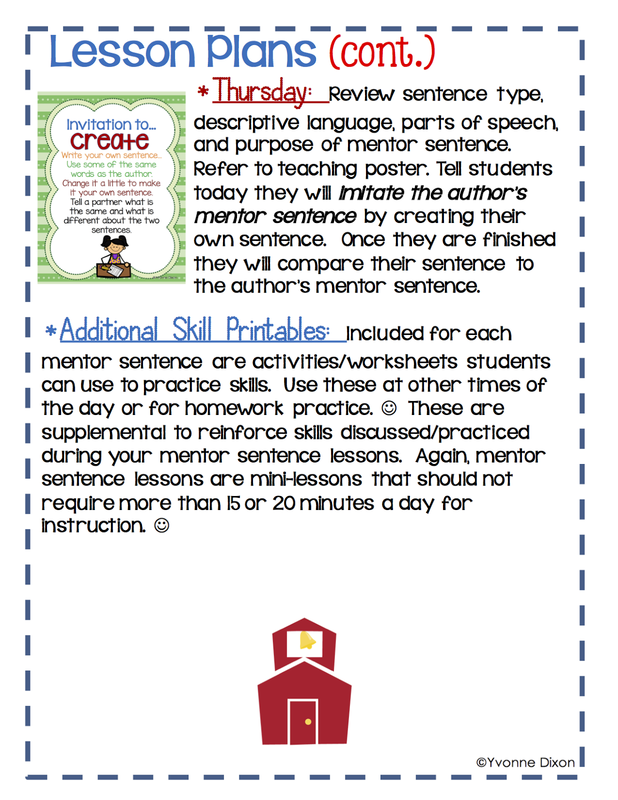 I knew… I needed a structured format that allowed for planned instruction throughout the week. It needed to be quick and to the point due to lack of time in our daily schedule. 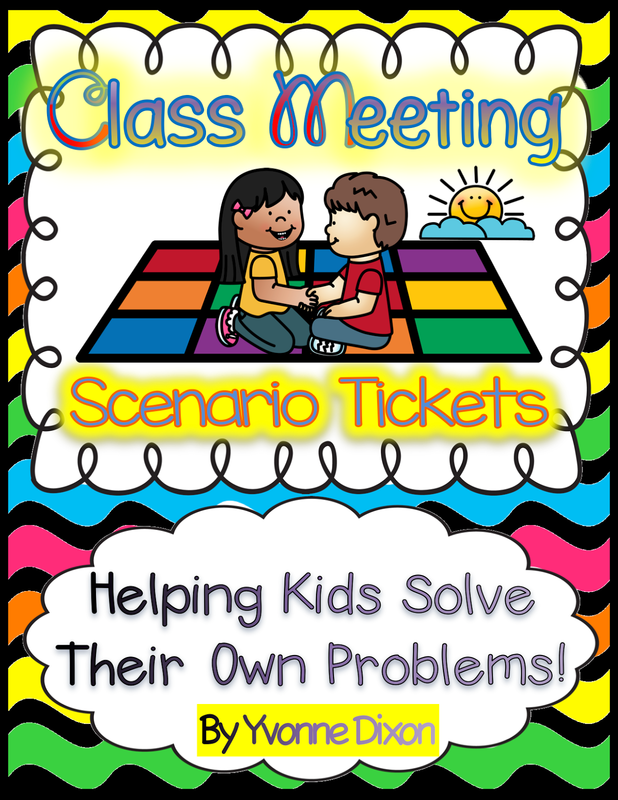 I knew… my students did well with interactive notebooks to use as anchor charts or resources during writing workshop or reading groups. 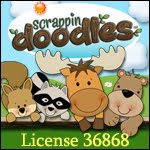 I wanted to provide a resource for them to make their own. I knew… vocabulary instruction should require my students to link new words to their already “known or existing” vocabularies. 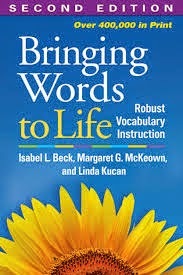 Basically, the vocabulary should build and be integrative. 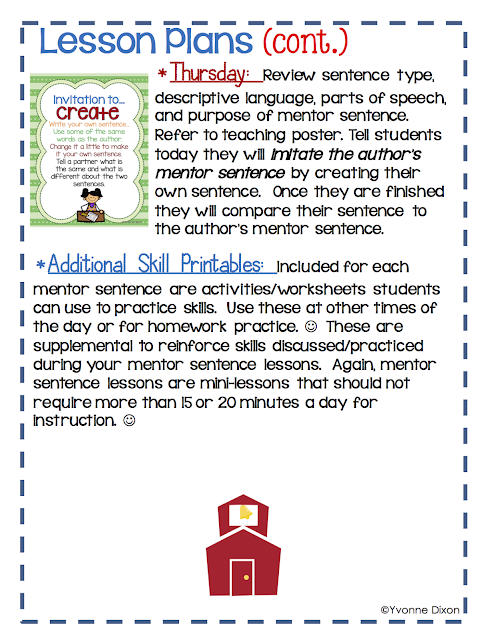 I knew… repetition and usage of the words needed to be integrated into the lesson format. 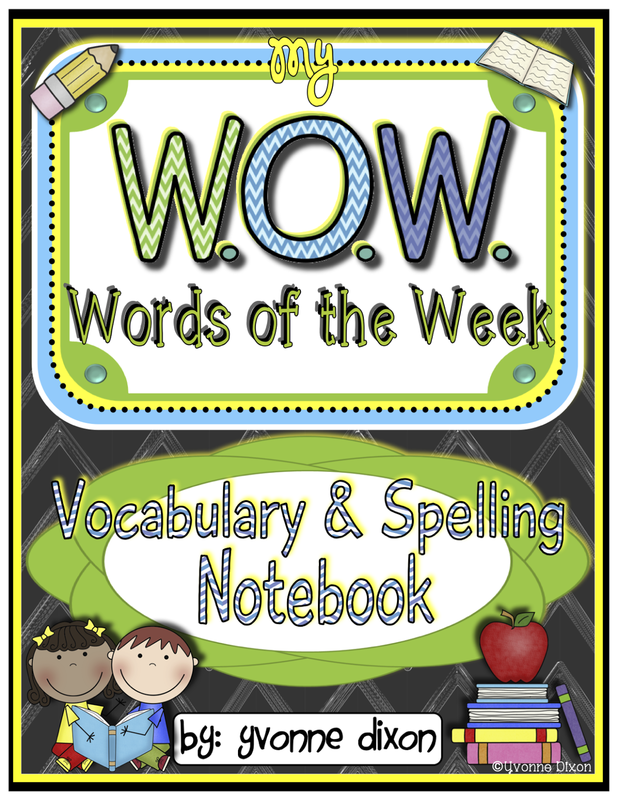 Words of the Week Interactive Vocabulary and Spelling Notebook! 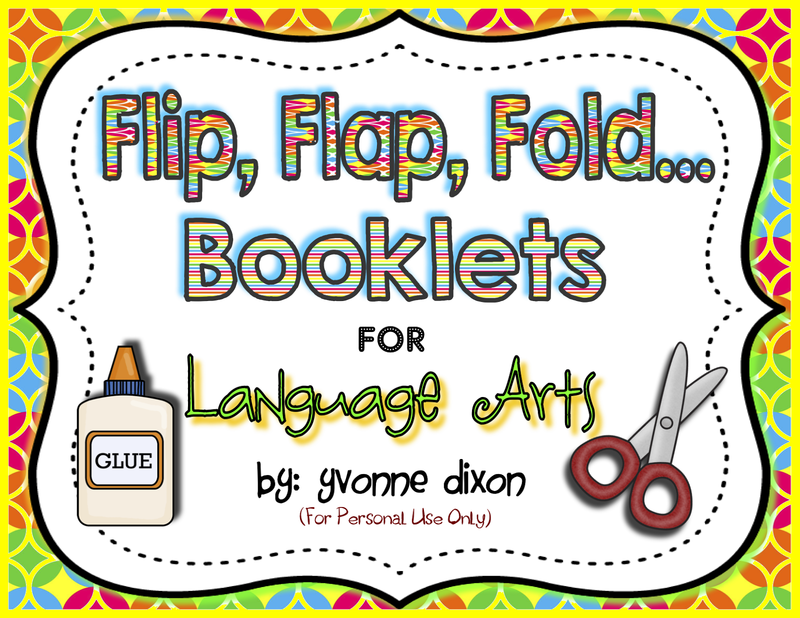 It is loaded with everything I need to teach Tier Two Vocabulary Words and more this year! 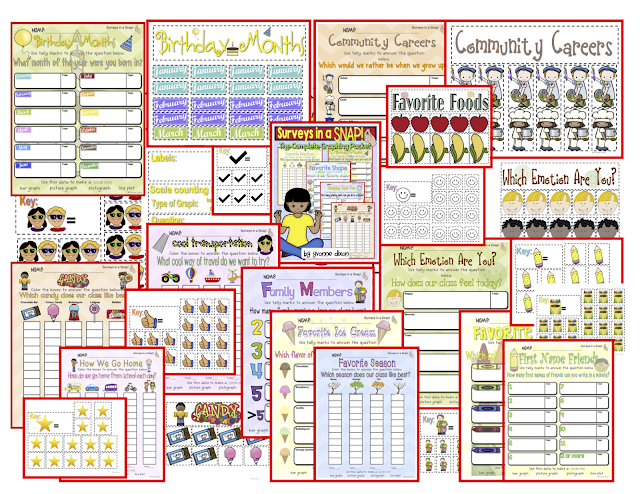 All I have to do is pick 2 words a week from the list…and follow the sample lesson plan provided in the packet! Lessons are quick and to the point! We’ve spent the last two weeks getting our W.O.W. 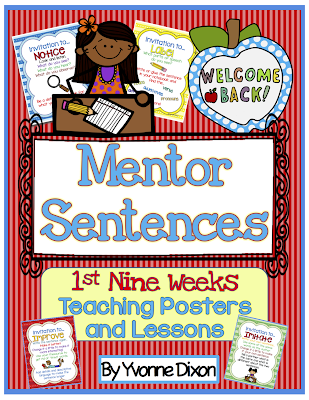 Books assembled and had a blast this last week starting our lessons! 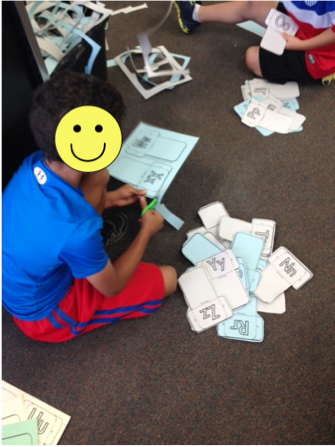 Here are some pictures of my students cutting their tab dividers and letter pockets for their word cards. Yes…the students cut and put EVERYTHING together in their 2-inch binders! I could see them taking ownership of their notebooks more than if I had put them together ahead of time! 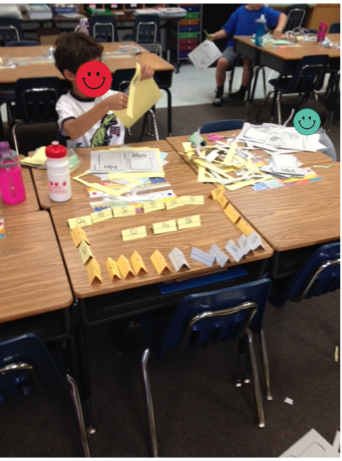 This kiddo is cutting out his tab dividers and lining them up in ABC order to assemble. This kiddo is cutting out his pockets for vocabulary flashcards. The first thing you see in their W.O.W. 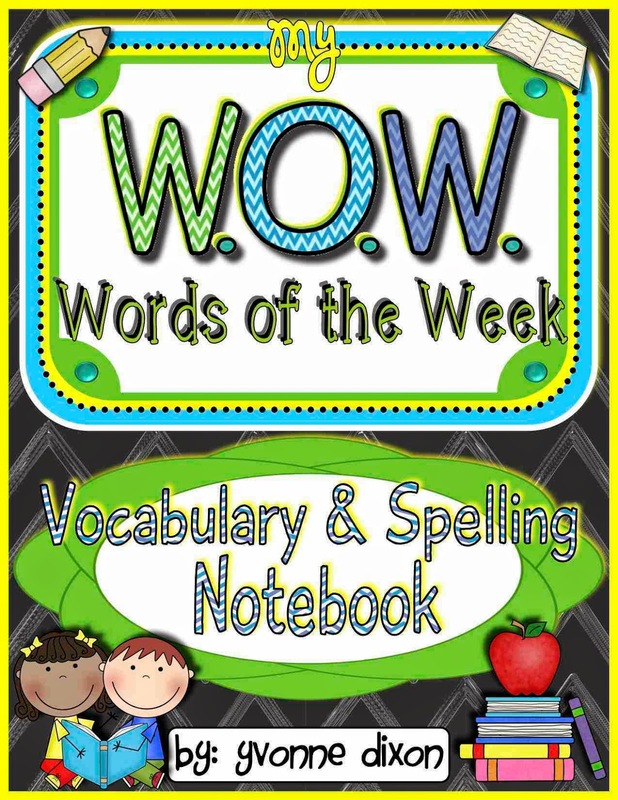 Notebooks is the Student W.O.W. Pledge! We did this first thing together on Monday and discussed what each check meant before they all signed! 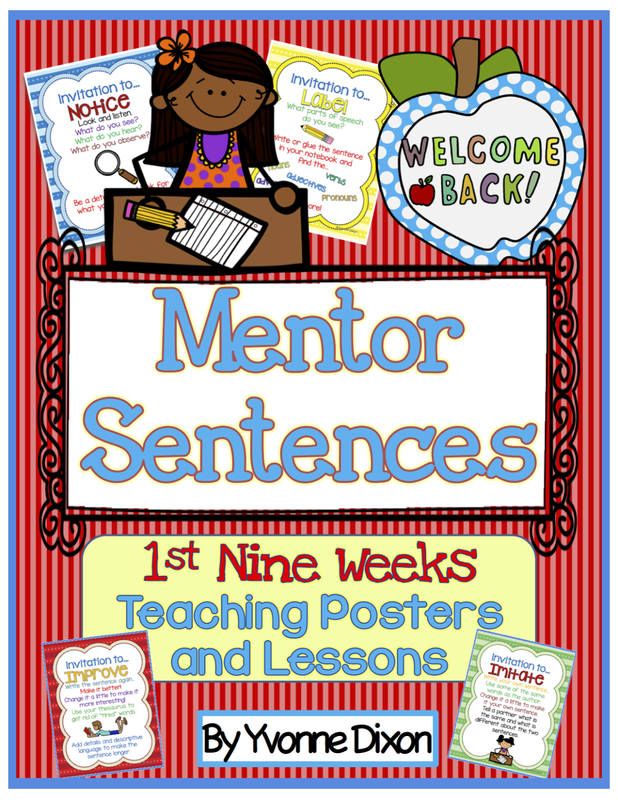 We only focus on two words a week! 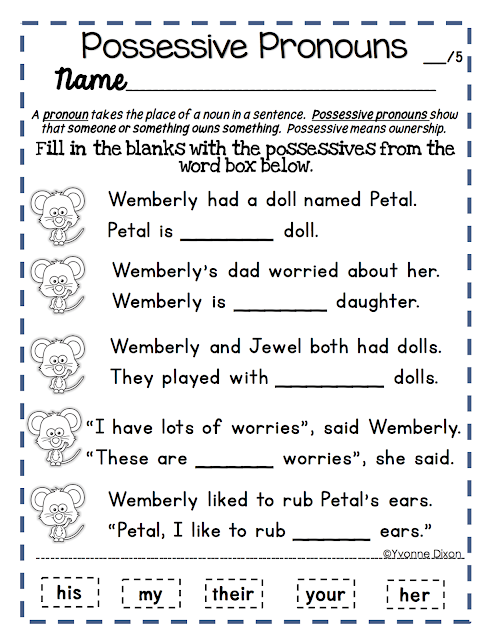 Our words this week were friendly and ownership. 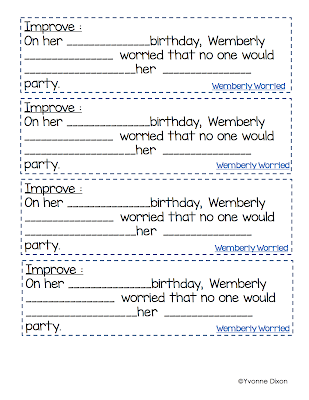 I chose these words because we are working on character education words as well. I clipped my sample lesson plan to my board and followed it daily to keep me on task each day (I have a tendency to overteach and lessons can run too long). 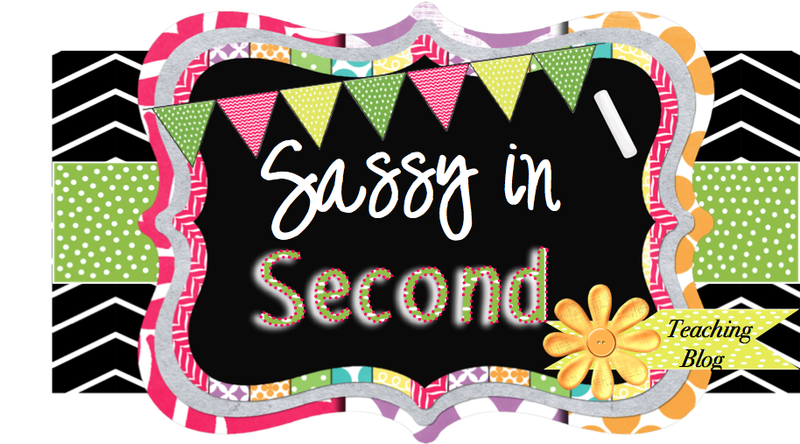 Lessons were short and sweet…but powerful! 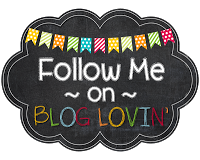 I’d love for you to check out my W.O.W. Notebook and let me know what you think. Watch for updates as I let you know how the W.O.W Books are going. 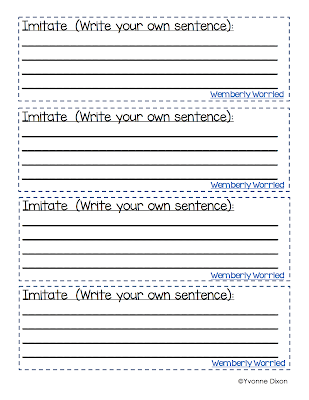 I can’t wait to see how my students “use” their words in their conversations and writing this year! Thanks so much friends and let me know if you have any questions! 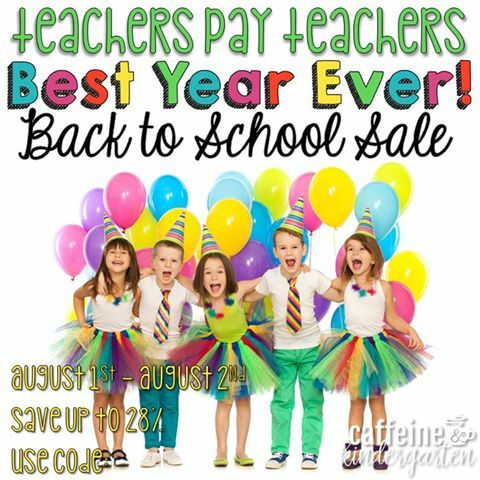 Time for the Back to School Sale! 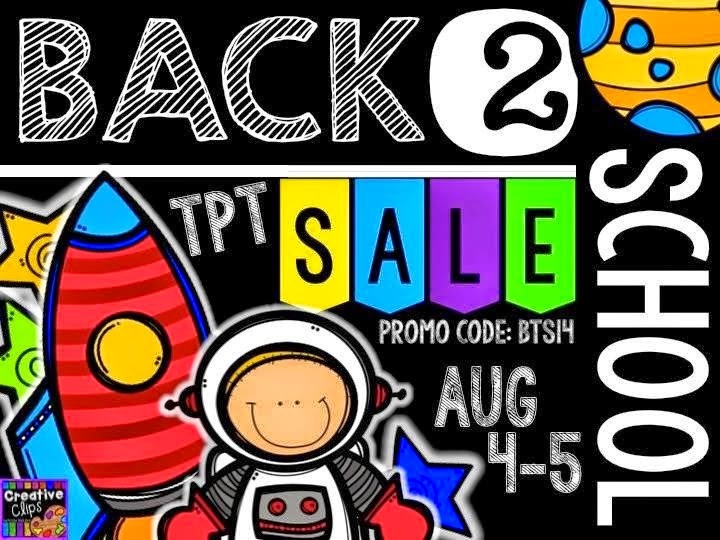 The 2014 TpT Back to School Sale is on and ready! 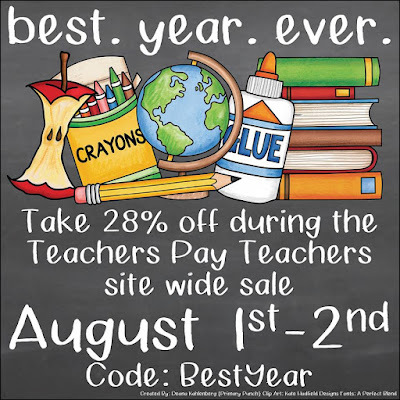 As of midnight tonight, everything in MY STORE will be 20% off and you can save an additional 10% by using the TpT code...BTS14! I am sooo excited about this notebook! 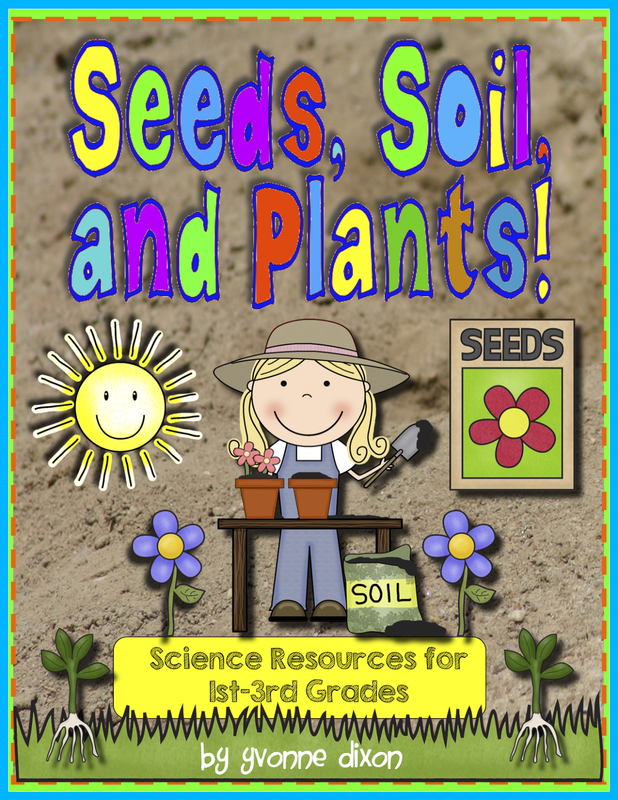 It is loaded with over 300+ pages at an excellent price for what all is included! 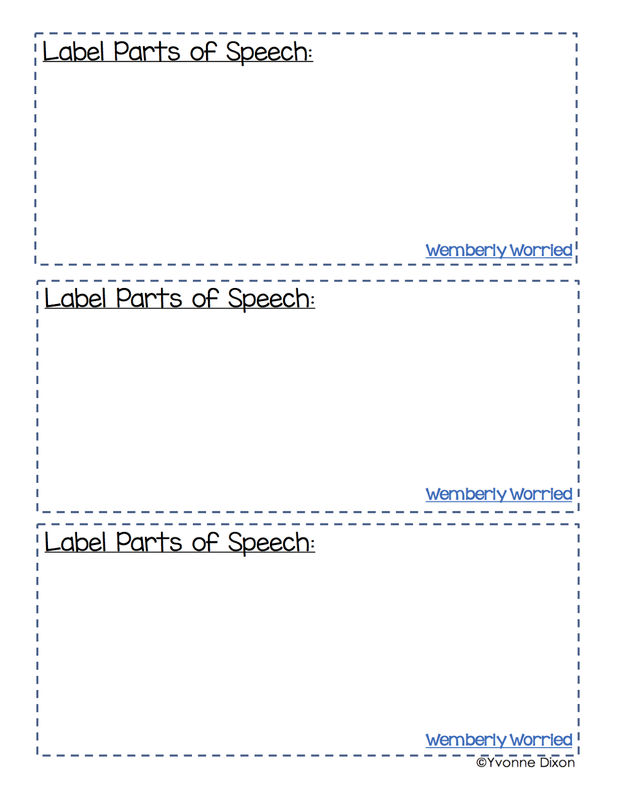 Because vocabulary is my focus at the moment...I've created a little FREEBIE for you as well. 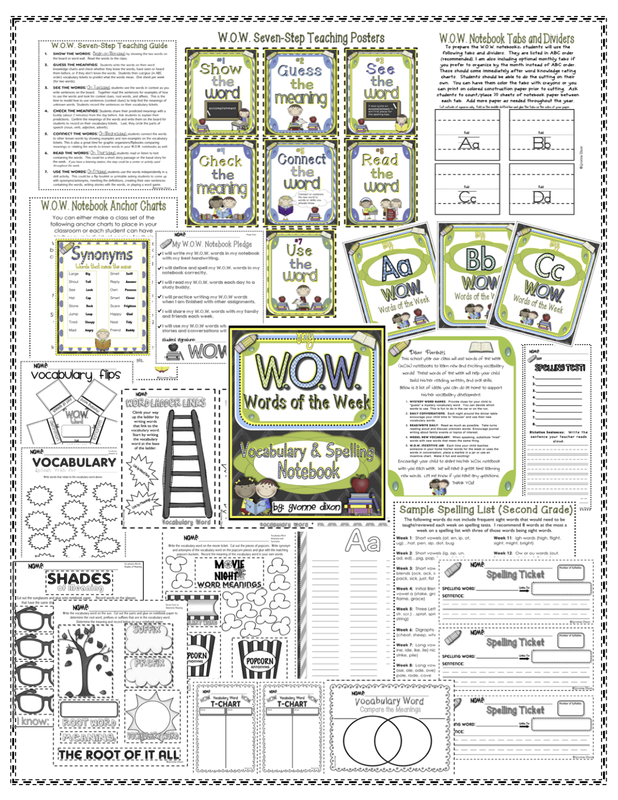 This is a sample of some of the great resources you will receive when you purchase the W.O.W. notebook. 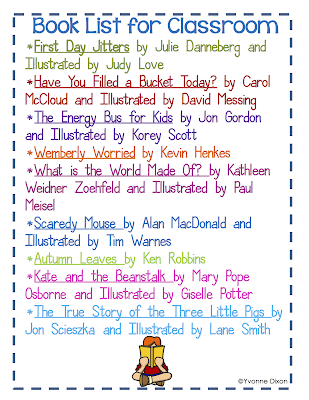 Enjoy and happy TpT shopping friends!